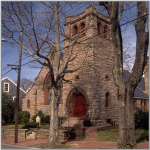 Situated in the Town of Nantucket's Historic District, St. Paul's Episcopal Church is a dignified Richardsonian Romanesque style building with pink granite walls and brownstone trim. 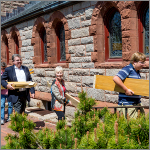 The gift of a wealthy summer resident in memory of her father, the 1902 building is noted for its six Lewis Comfort Tiffany windows - five in the apse depicting island wildflowers and a large 3-panneled "Water of Life" window at the west end. 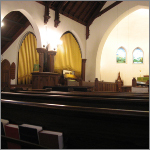 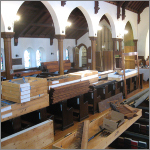 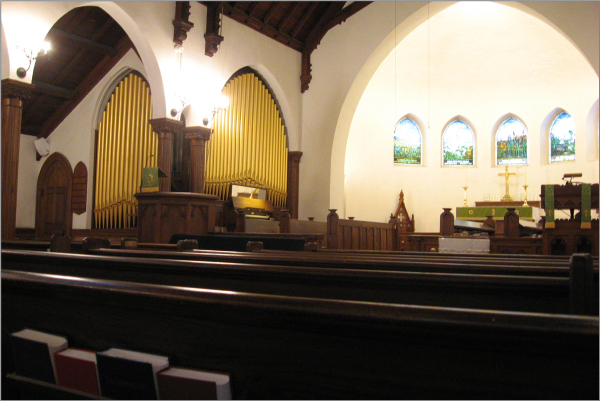 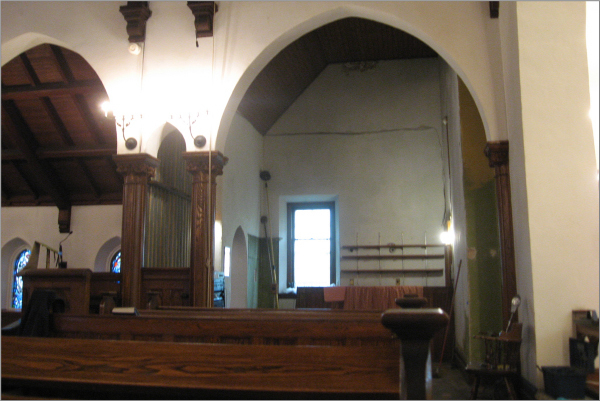 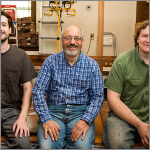 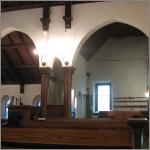 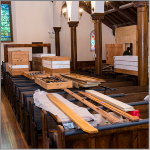 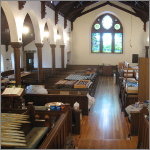 In 2012-14 the congregation undertook a $2 million church renovation project which included the construction of an accessible entrance wing in matching stone and style, a renovation of the basement parish hall facilities and a rebuilding of the organ. 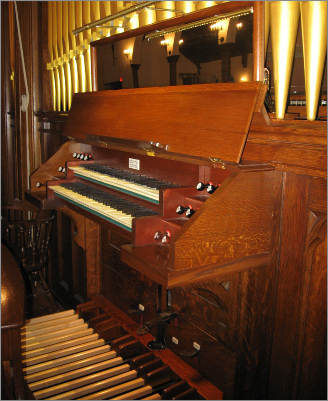 The St. Paul's organ, a 2-manual 1902 Hutchings-Votey tracker, Opus 1473, was originally 9 ranks. 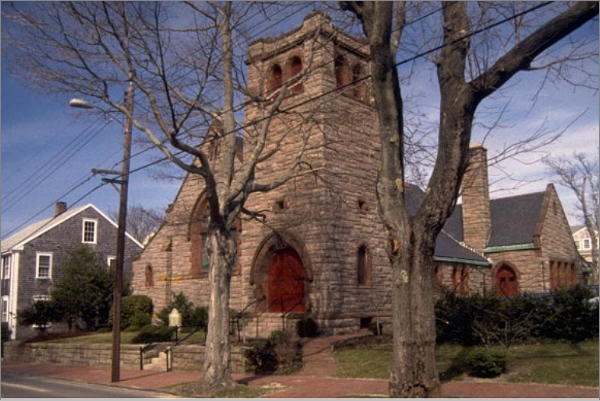 In the late 1960s it was enlarged and tonally altered in the Neo-Baroque style by an island builder. 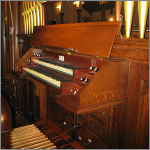 Further additions took place in 1971 and 1985, bringing the organ to 15 ranks. 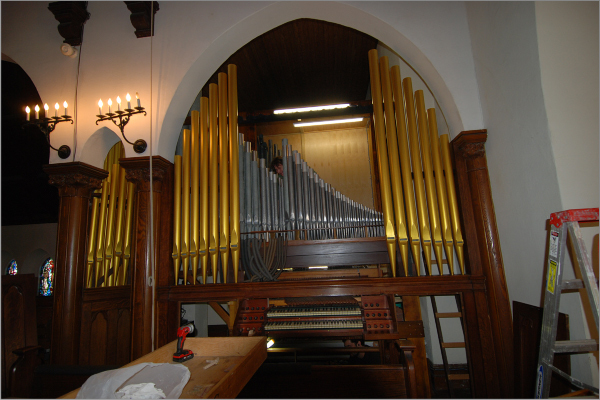 After all these alterations and 111 years of service it was in need of a comprehensive rebuilding. 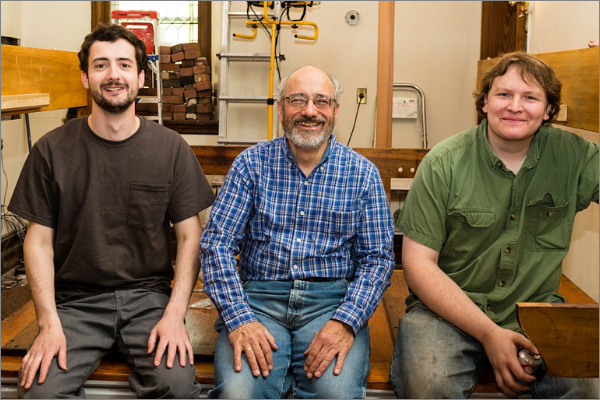 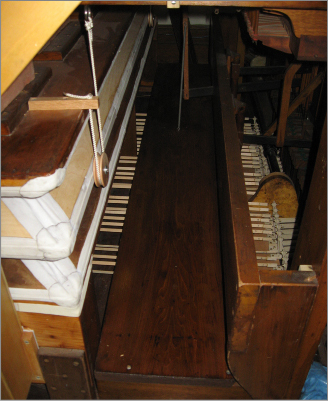 In October 2013 we removed the entire organ to our shop. 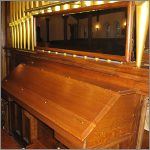 Tonally, the objective of this rebuilding was to restore the organ's original warm, dignified sound while increasing its tonal resources. 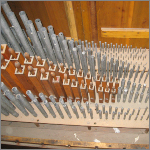 It received 5 new ranks of pipes: 22⁄3' Twelfth and 2' Fifteenth in the Great; 8' Trumpet and 8' Celeste in the Swell; and a full-length wooden 16'-8' Trombone in the Pedal. 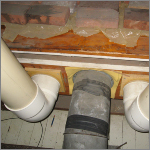 All the existing pipes were cleaned, repaired and re-regulated. 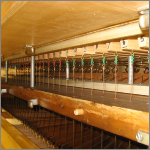 The Great Mixture was reduced from four ranks to three and considerably softened. 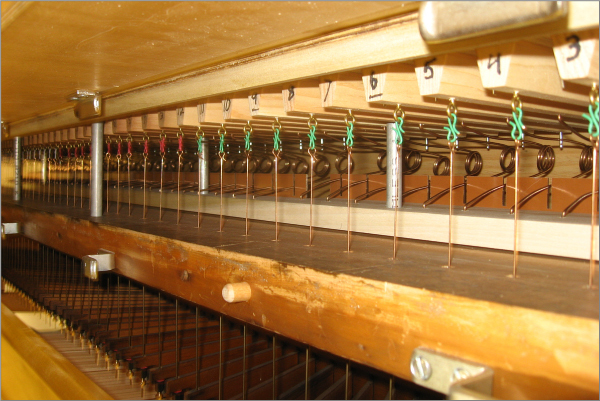 The instrument now has 19 ranks. 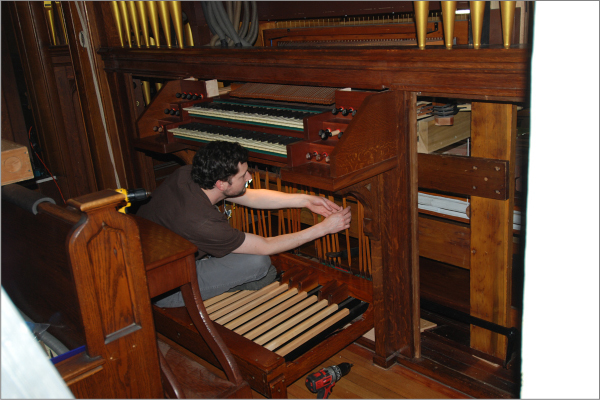 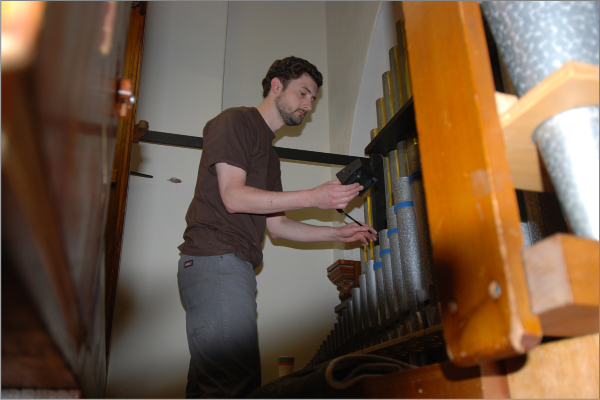 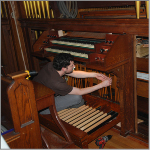 All the mechanical parts were restored, repaired, or replaced in order to return the organ to like-new condition. 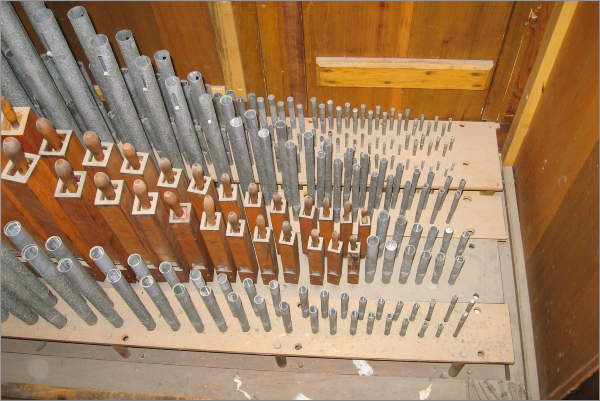 The Hutching reservoir, which had been reduced to one set of ribs, was releathered and restored to its original double-rise configuration. 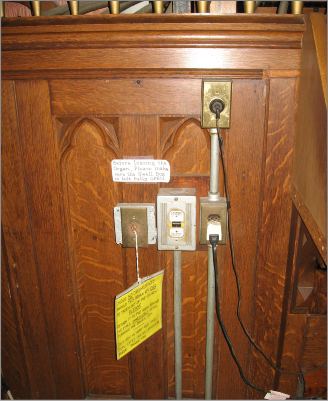 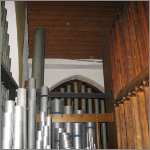 A new silent blower was installed in the organ chamber. 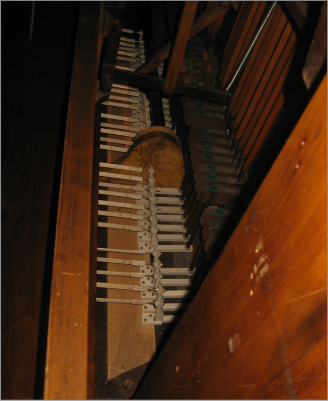 A Hutchings-style tremolo was provided to replace the long-missing original. 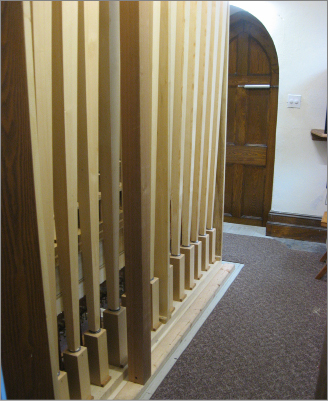 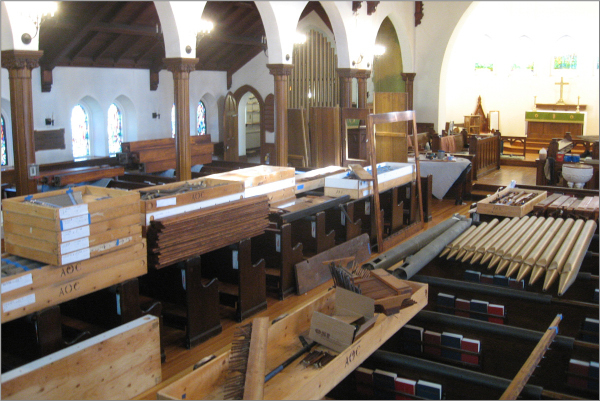 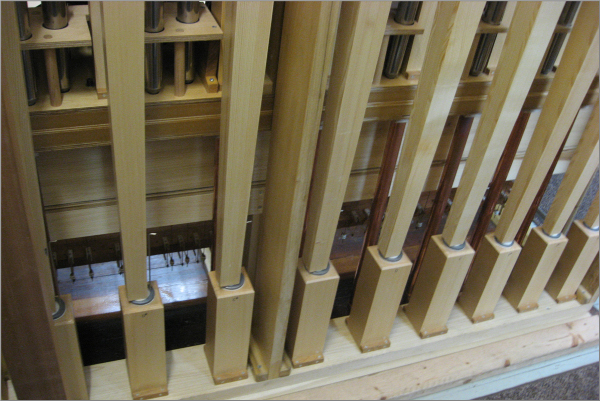 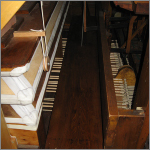 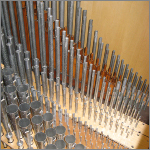 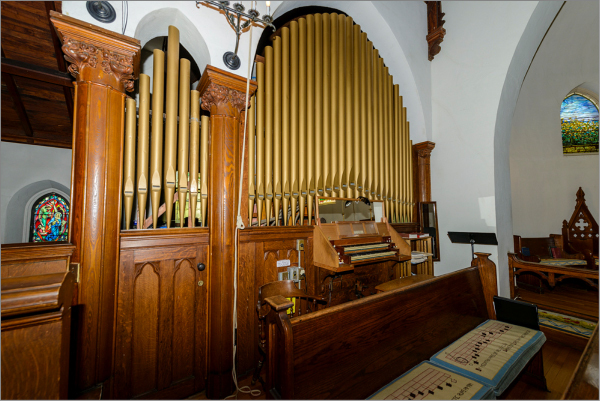 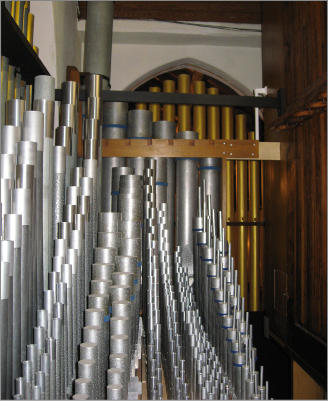 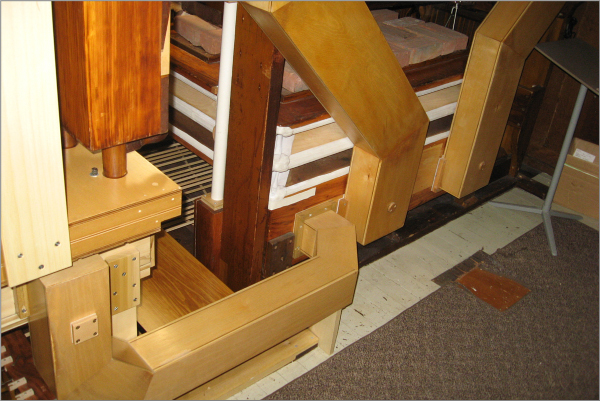 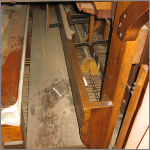 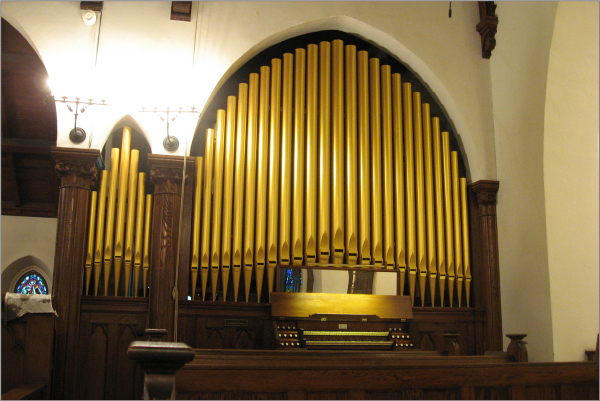 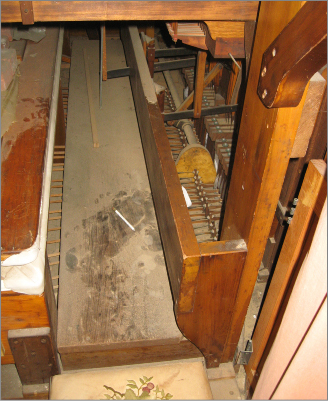 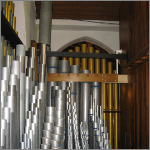 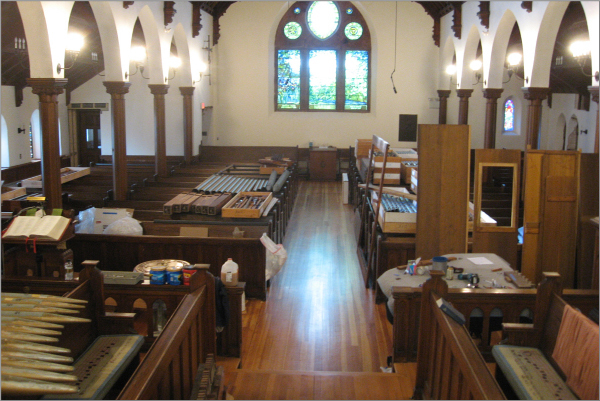 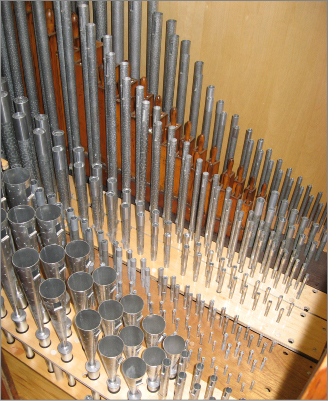 The two manual slider/pallet windchests, the swellbox and the organ's structural frame were rebuilt to accommodate the additional ranks of pipes. 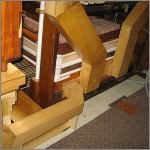 The stop action was redesigned, as was the Swell key action. 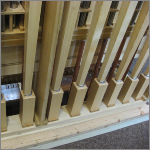 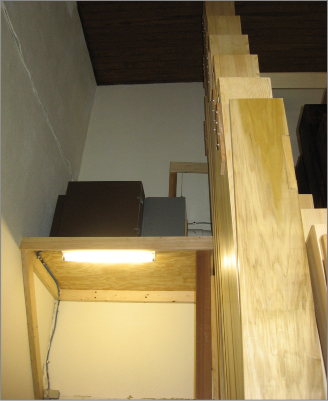 A new Pedal action and mechanically duplexed slider/pallet windchest and were built to enable the Pedal Bourdon and Trombone ranks to each play at 16' and 8' pitches. 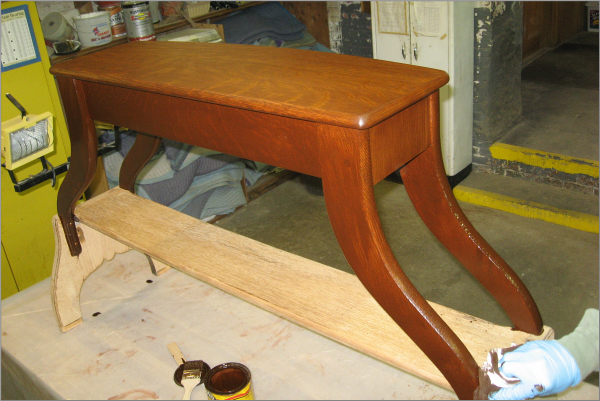 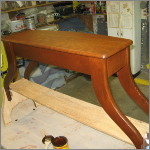 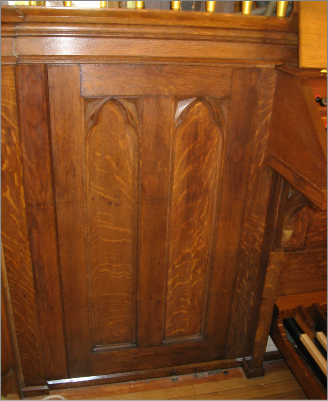 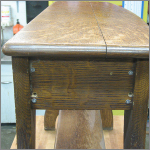 The console keydesk and terraced stop jambs were widened to accommodate additional stop knobs. 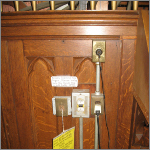 We replaced the 1960s European style drawknobs with vintage oblique-faced rosewood and ebony knobs with engraved inset labels. 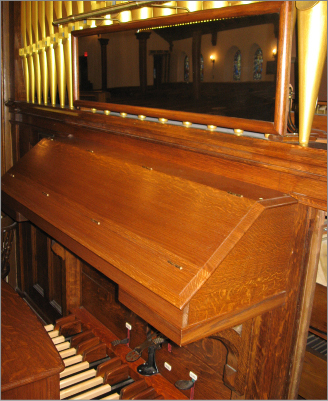 We also built a new hinged console cover/music rack in the Hutchungs style and provided LED music and pedal lights. 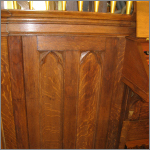 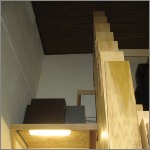 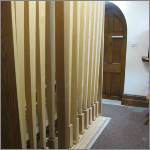 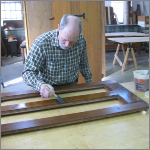 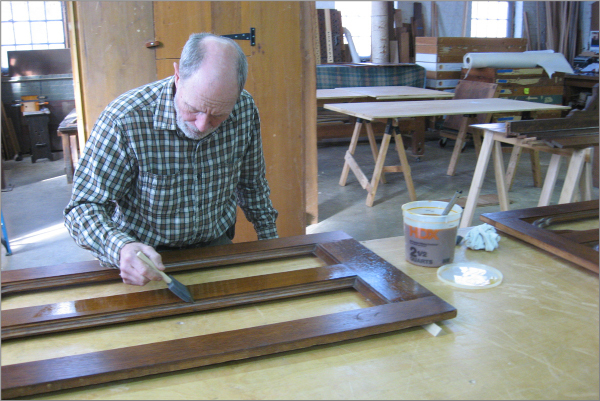 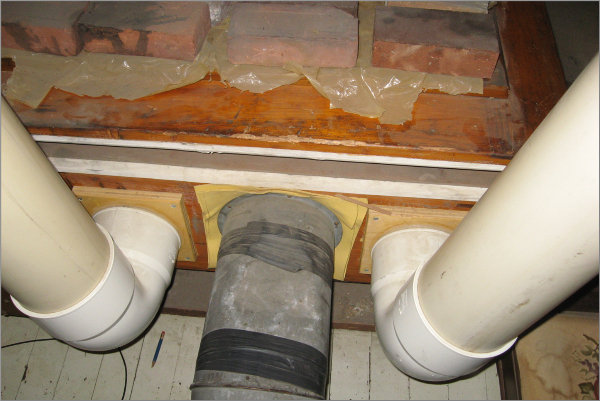 The oak casework was refinished and the facade pipes repainted a warm gold color. 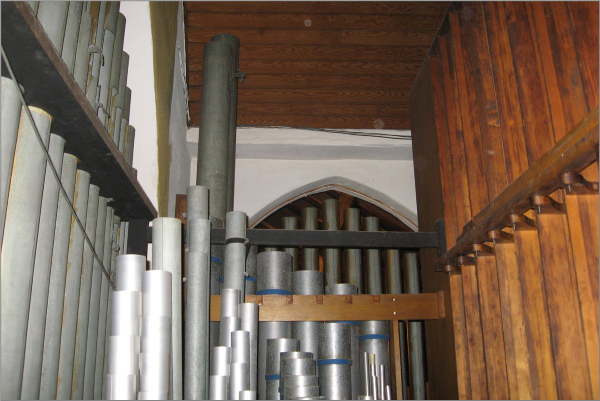 The organ returned to the island in early May 2014. 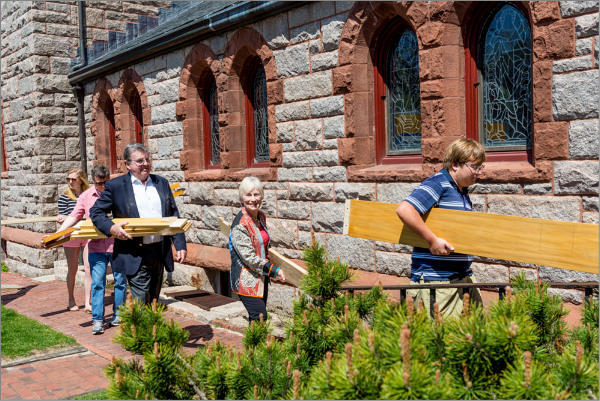 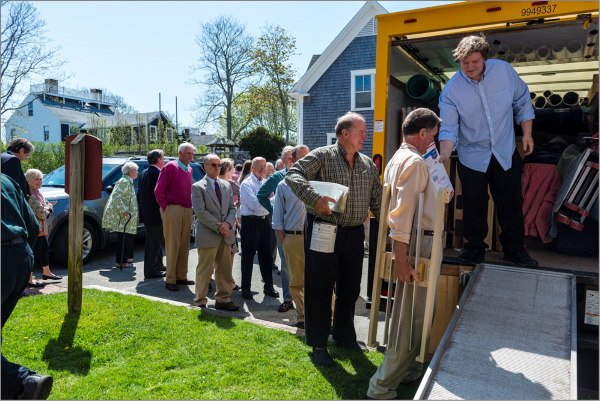 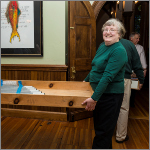 Following the Mothers Day Sunday Eucharist, parishioners unloaded all the parts into the church in less than an hour! 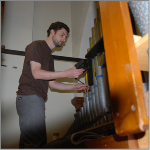 Ryan Bartosiewicz, Andy Hagberg and Project Manager Matthew Bellocchio, erected the instrument during the next two weeks. 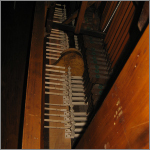 Robert Newton, Don Glover and Ryan Bartosiewicz did the tonal regulation in the following weeks. 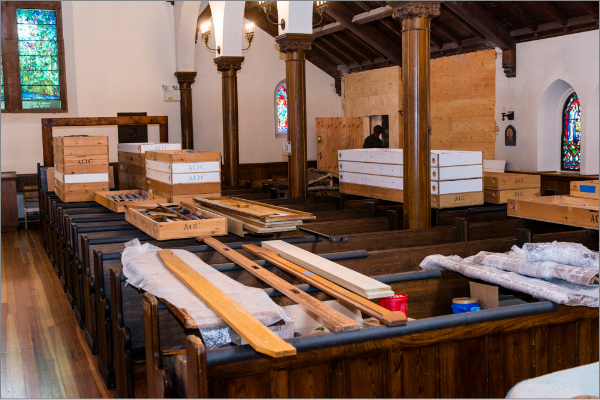 Other Andover people who worked on this project were: Al Hosman, Ben Mague, Tony Miscio, Fay Morlock, John Morlock, Jonathan Ross, Craig Seaman and David Zarges. 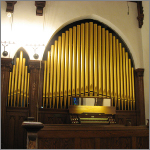 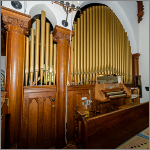 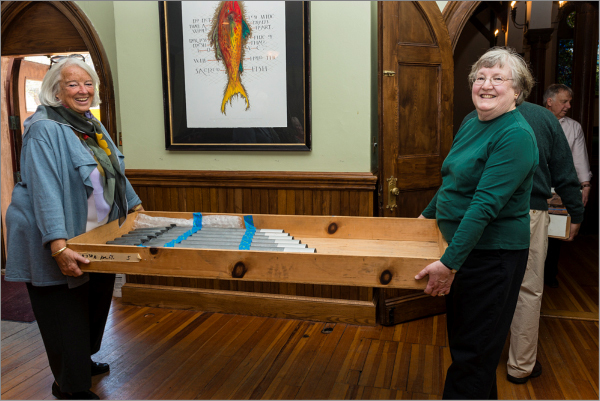 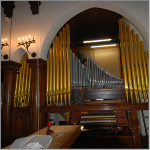 The rebuilt organ resumed its duties on Memorial Day weekend and was unveiled to the Nantucket musical community on August 6th in a candlelight concert played by Washington, DC organist J. Reilly Lewis and St. Paul's organist Ann Colgrove. 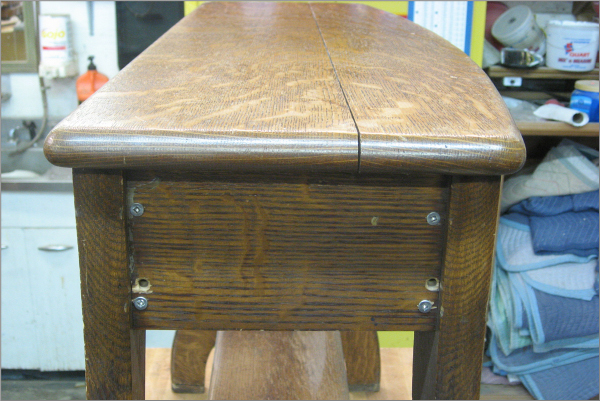 en etat a peu près en déchiquette. 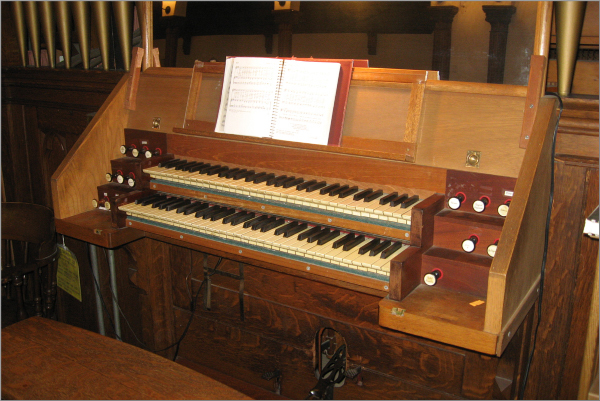 Il chante maintenant et rien n'y cliquette! 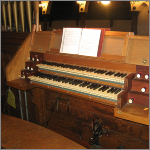 © 2018 Andover Organ Company, Inc. :: All rights reserved.